This painting is available as a giclée print on 100% cotton rag paper, image size is 20x16"
This painting is available as a giclée print on 100% cotton rag paper, image size is 16x20"
graphite, gouache, acrylic on paper. 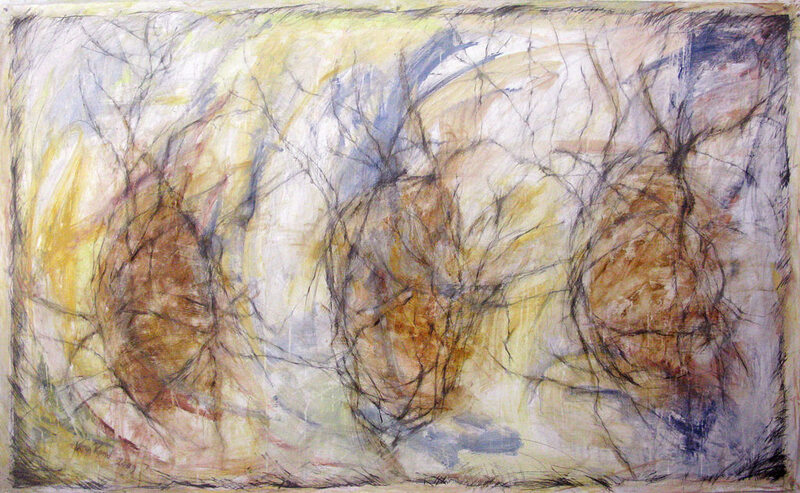 gouache, graphite, and copper mesh on paper. charred paper, bronze wire, acrylic, birch branches, canvas, wood, bone. 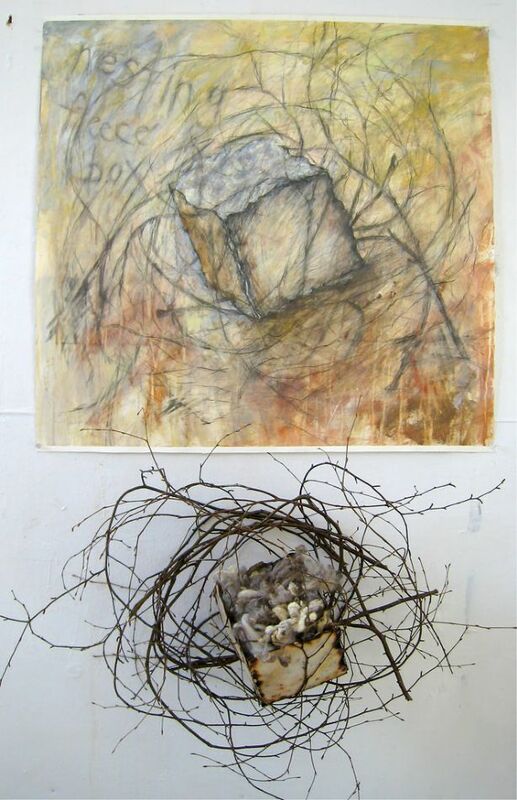 charred paper, bronze wire, acrylic, birch branches, rocks. "It's Not What You Thought"
gouache, graphite, acrylic on paper. charred paper, bronze wire, acrylic. black birch saplings, bronze wire, altered chair, rocks. 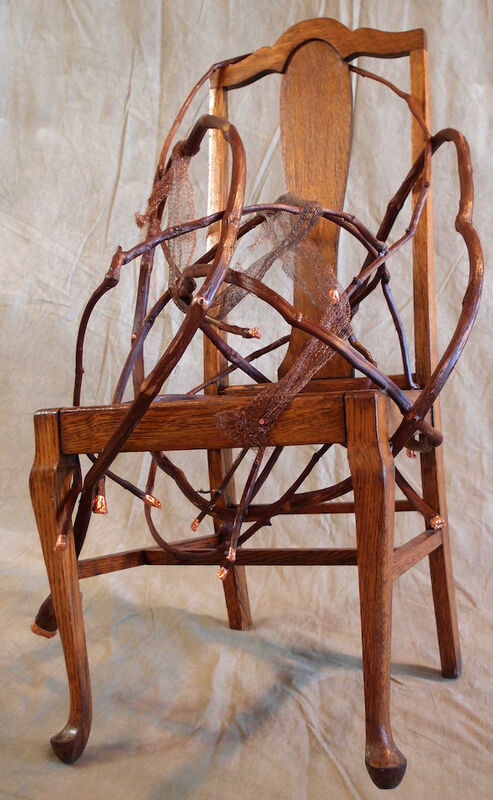 altered chair, birch branches, bronze wire, canvas, wood. altered chairs, copper wire, branches, moss. This painting is available as a giclée print on 100% cotton rag paper, image size is 20x14"
gouache, acrylic, graphite on paper. 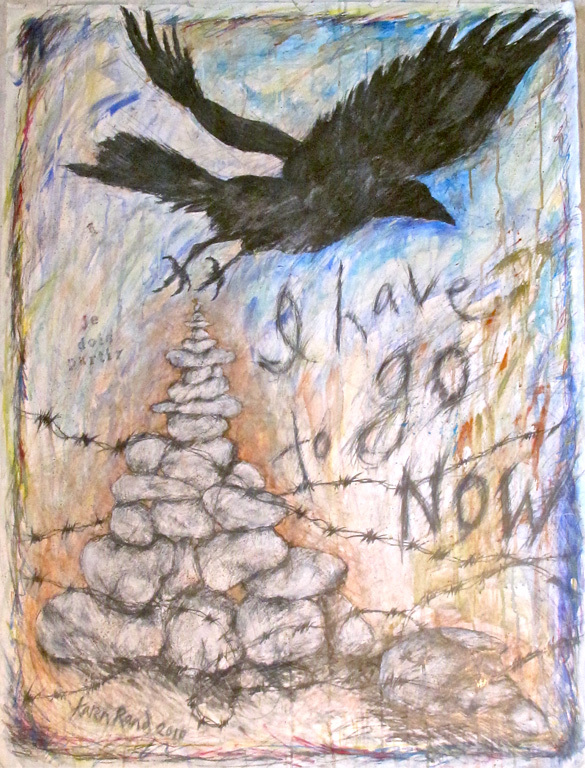 charred paper, copper wire, acrylic, wood, moss, feathers, found object. graphite and gouache on paper. sculpture: charred paper, bronze wire, acrylic, black birch branches, sheep's fleece. 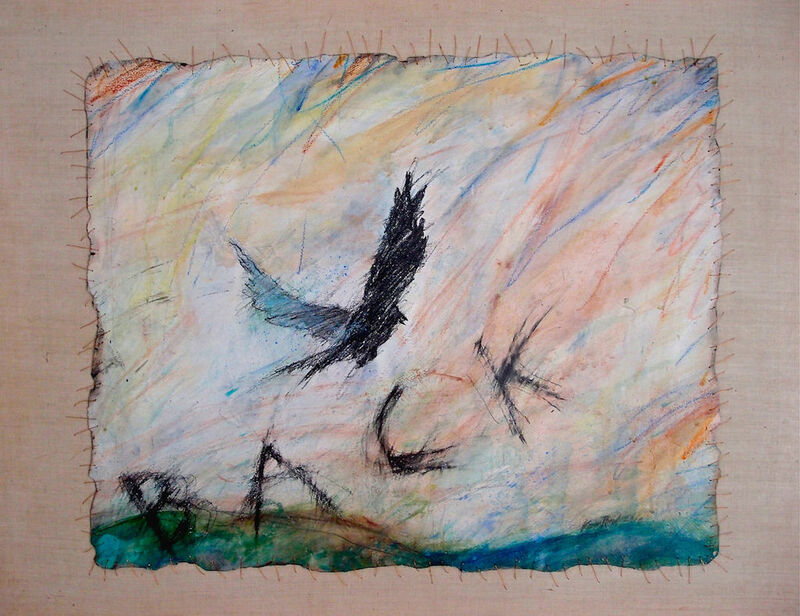 The work in this portfolio, created between 2005-2010, reflects my interest in posing visual questions regarding the nature of relationship— between natural elements, physical and emotional tension, images and metaphor.The large format drawings are informed by the sculptural work; the imagery speaks to the complexities of relationship. 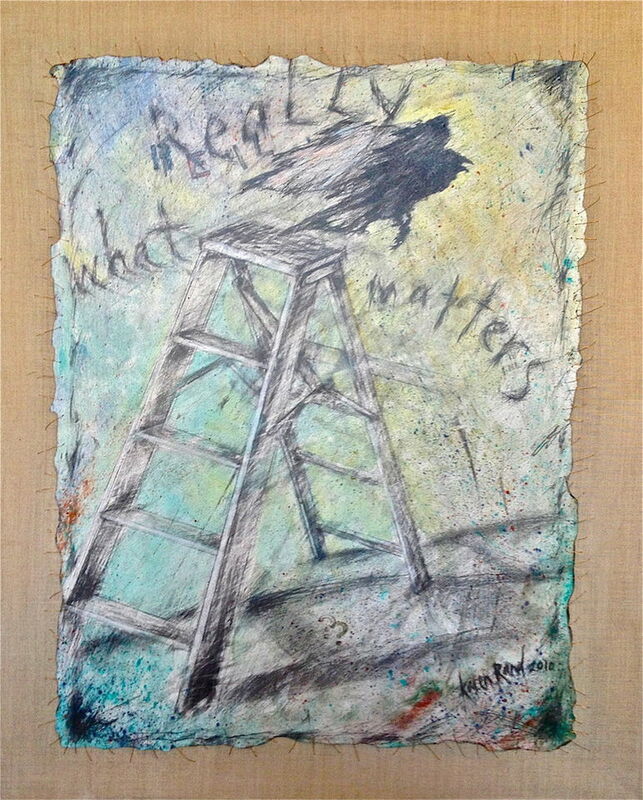 Through intimate combinations of appropriated objects, relative images and text, metaphor and meaning are created.